Price: £95 - per panel, which fits (approx), a gap of; length: 2m (6'6") x height: 90cm (3'). This will be painted in two coats of semi-black metal paint. 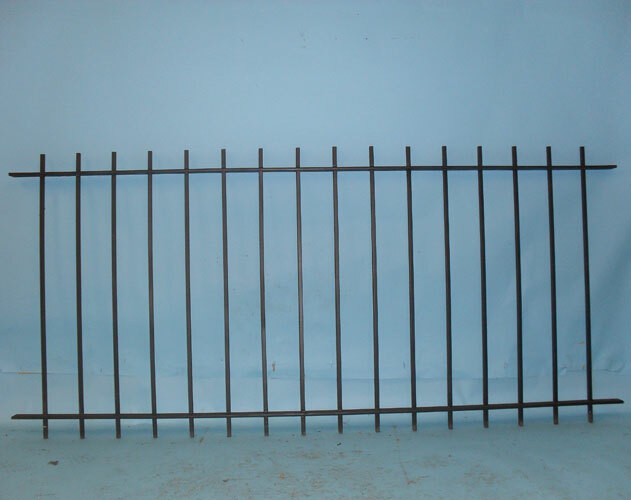 We also make, supply: wall brackets and all types of posts, please contact to discuss this. For delivery details please see our delivery information page.